IPC934-230-FL is a high performance industrial fanless embedded PC which supports Intel 4th generation Core i7/i5/i3/Celeron processor. It supports 4x PCI or 1x PCIe x16, 1x PCIe x1 and 2x PCI expansion slots, maximum 16GB DDR3 SO-DIMM memory, DVI-I display, two RS-232 port, two RS-232/422/485 port, two USB3.0 and four USB2.0 ports, two Gigabit Ethernet LAN ports. 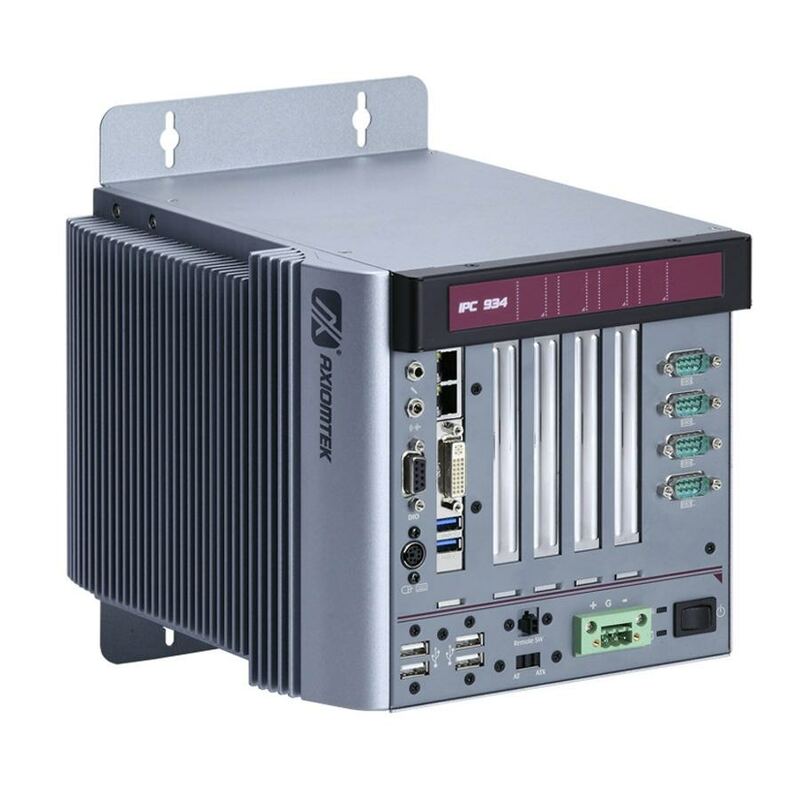 IPC934-230-FL is suitable for a wide range of industrial applications in the market, such as optical inspection, surveillance system, IoT & M2M-related applications and much more.